My husband grabs one of these from the freezer and by the time he gets to work, it’s ready to eat. 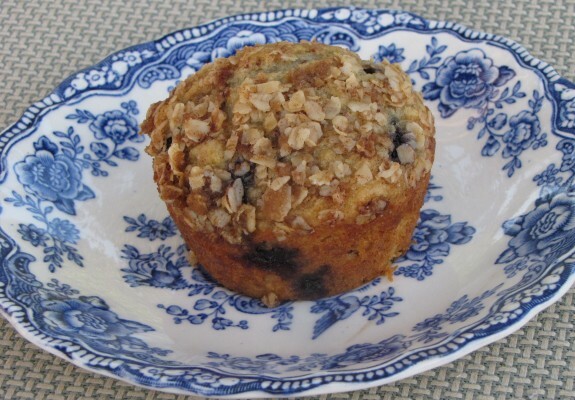 Using Pamela’s mix makes these muffins a snap to throw together. Remember, there’s a tiny bit of milk in here. Preheat oven to 350 degrees. Mix all muffin ingredients together and spoon into a greased muffin pan, 2/3 full. (An old fashioned ice cream scooper works great and creates uniformity). For topping, melt butter (or heat oil) in saucepan and add all remaining ingredients, stirring until incorporated. Spoon topping evenly over the muffins and bake for 18-20 minutes. Yum! I’m totally going to make these this weekend Amy! Thank you! !